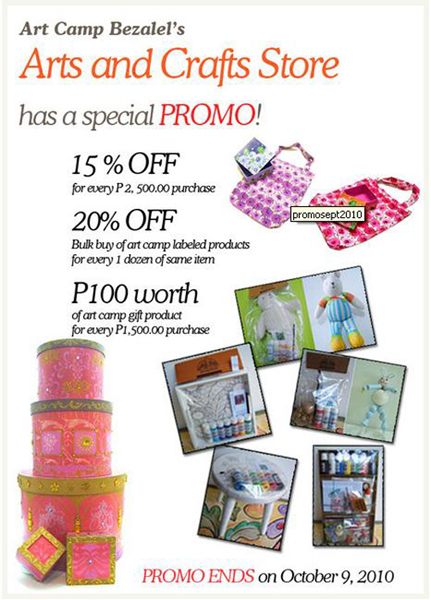 Come by our store and avail of fabulous discounts! For a limited time only! The Art Camp Bezalel Store is located at #59 Dona Hemady Street Cor. 9th Street, New Manila, Quezon City. Call (632) 722 14 34 for more info. One Response to Store Promo!